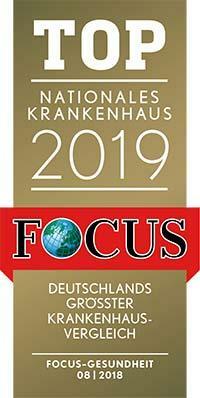 According to the Focus magazine, the Department of Cardiology at the University Hospital Tuebingen ranks among the top German departments specializing in the treatment of cardiovascular diseases! The department offers a wide range of services for the diagnostics and treatment of heart diseases. The priorities of the clinical activities include the treatment of coronary heart disease, arrhythmias, cardiomyopathy and heart failure. The department's doctors also have advanced experience in the field of non-invasive imaging diagnostics of cardiac pathologies. The Chief Physician of the department is Prof. Dr. med. Meinrad Paul Gawaz. 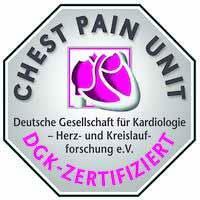 The department operates a state-of-art Chest Pain Unit, which is certified in accordance with the standards of the German Society of Cardiology. The patients with life-threatening and emergency cardiac conditions receive a competent medical care here. The medical team of the unit possesses the special qualifications and skills for the provision of the most prompt and effective medical care. It is necessary to note that the department has gained an excellent reputation in the treatment of aortic stenosis. Since 2008, it has performed more than 900 procedures for the treatment of this disease, and almost all of them were successful. The department is one of the few in Germany and around the world, which successfully treats aortic stenosis using sparing techniques and, as a rule, without general anesthesia, which guarantees the highest level of safety for a patient. 1981 - 1987 Study of Medicine at the Universities of Bochum, Ulm, Munich, Cambridge (England) and Stanford (USA). 1988 - 1989 Research Fellow at the Institute of Physiology, Ludwig Maximilian University of Munich (Prof. Dr. Martin Klingenberg). 1989 - 1991 Scholarship of the German Research Foundation at the University of Louisville (USA) and Scripps Research Institute (USA) (Dr. Mark Ginsberg). 1991 - 1993 Research Fellow in the Department of Internal Medicine I, Grosshadern Hospital at the Ludwig Maximilian University of Munich (Prof. Dr. G. Riecker). 1993 - 1997 Research Fellow in the Department of Internal Medicine I, University Hospital Rechts der Isar of the Technical University of Munich (Prof. Dr. A. Schömig). Since 1997, Senior Physician in the Department of Internal Medicine I, University Hospital Rechts der Isar, German Heart Center Munich, Technical University of Munich. 1995 Habilitation and Venia Legendi in Internal Medicine, Technical University of Munich. 1999 Appointed as an Extraordinary Professor, Technical University of Munich. 2004 Alexander Schmidt Prize of the Society for Thrombosis and Hemostasis. 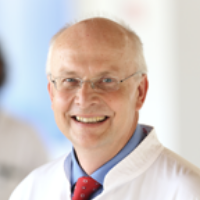 Since 10.2004, Head of the Department of Cardiology at the University Hospital Tuebingen, as well as (C4) Full-time Professor of Internal Medicine/Cardiology, University of Tuebingen. 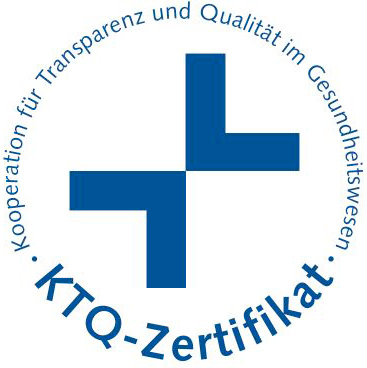 German Society for Internal Intensive Care and Emergency Medicine. International Society for Thrombosis and Hemostasis. Platelet interaction with progenitor cells. Antithrombotic therapy in patients with high cardiovascular risk.